The famous names – Lafite, Latour, Margaux – and a long history give it a lustre that few other regions can match. But it also produces and sells a lot of cheap wine. And a fair amount of plonk. The difficulty comes in knowing what to buy and making sure you don’t pay for premium prices for cheap, tasteless grape juice. So, considering this, a more accurate answer is: ‘it depends’. The producer, the sub-region, the blend and the vintage all affect the price and quality. Bordeaux as a brand is like Champagne or Burgundy: famous but no guarantee of quality or value. Worse, it can sometimes feel like the wine industry wants to drown you in information and bore you to death with wine-bore details. To set you on the right path, I have put together a list of the ten things every wine drinker should know about Bordeaux. We’ve chosen two remarkable, premium-quality wines to represent Bordeaux in the Vincarta range. Vines need a bit of stress to produce great grapes. But that often means the best growing regions are right on the margin of viability, which leaves them vulnerable. Bordeaux is no exception. 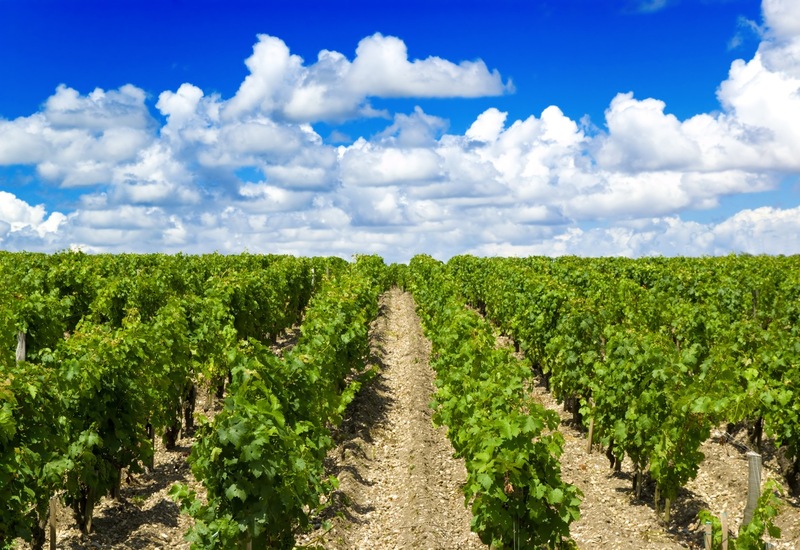 The main culprit for Bordeaux vintage variation is the weather. This is a region that is heavily influenced by the Atlantic Ocean and the two rivers that cross it. The good news is that this maritime climate protects the vines from winter freeze and spring frost. Humidity affects flowering so grapes will not form properly. It encourages fungal diseases. Botrytis is good for Sauternes sweet wine but bad news for everyone else. It affects harvest quality by diluting the grapes or forcing the wine producers to pick up grapes earlier than desired. Then there are the risks of hail storms and cold snaps. Top producers will go to extraordinary measures to protect their grapes. Famous examples include Petrus drying out the vines with a helicopter during the 1987 harvest or Château Figeac circulating the hot air above the vines in spring 2017 to prevent frost damage. As a result, in Bordeaux, you need to know your vintage. Good vintages seem to come every five years, sometimes two years one after another. Good years include: 1995, 2000, 2005, 2006, 2009, 2010, 2015,2016. Alas, 2017 will not be a great year (based on the latest forecasts), due to the frost and hail which damaged the vines and the grapes. However, thanks to improving techniques, bad years aren’t always catastrophic – though they may see lower quality or reduced quantities. Merlot is the most common grape varietal in Bordeaux, with ~60% of all plantings. It is preferred by the grape growers because it’s easier to grow and ripens earlier than Cabernet Sauvignon. In fact, it is the most widely-grown grape varietal around the world. In Bordeaux it has aromas of plums, raspberries, fruit cake, spices and smokiness from oak and cigar box, chocolate and leather with age. Merlot usually results in wines which are softer and rounder, hence easier to drink when younger. The key with this grape is to control yields and concentration, otherwise it makes a watery, undistinguished plonk. Bordeaux offers some fabulous examples of 80-100% Merlot with fantastic quality and ageing potential. Just think of Petrus, the most expensive Bordeaux wine, which is 100% Merlot and can age for 20+ years. But it takes a brave connoisseur to pay up to £2,000 a bottle and then keep it in a cellar for 10 years or more. The good news is that there are plenty of producers in Bordeaux that make great wine that is ready to drink sooner and which doesn’t have the insane prices of the top chateaux. Bordeaux isn’t just for plutocrats and wine speculators. Considered king of the grapes, Cabernet Sauvignon is the second most planted grape varietal in Bordeaux. Here, it is never used as a single varietal in wine and is always blended. The key blending partners in Bordeaux are: Merlot, Cabernet Franc, and Petit Verdot. Classic aromas include: blackcurrant, cassis, sometimes green bell pepper, cedar, smokiness, spices from oak and tobacco, leather, and meatiness with ageing. A good quality Cabernet Sauvignon blend has a great potential to age. It is not uncommon for a 30-50 years old wine to be as fresh and vibrant as a teenager. In Bordeaux, Cabernet France is used as a blending partner with Merlot or Cabernet Sauvignon. It adds perfume and structure to its blending partners. You can get single-varietal Cab Franc from the Loire and a few other brave producers. On its own, it has aromas of raspberry, plum, violet, and blackcurrant leaf (vegetal). In blends, it is usually around 10% on the left bank and 30% on the right bank. But there are, of course, exceptions. For example, famous producers like Château Ausone uses 50% Cabernet France and Château Cheval Blanc in St-Émilion goes as high as 60%. When we think Sauvignon Blanc, our mind takes us to Loire Pouilly Fume, Sancerre or to the new world Kiwi wines. We rarely think about Bordeaux. However, this is the main grape in the fresh, crispy Bordeaux Blanc. Depending on the style of wine, winemakers can blend it with Sémillon, especially if they want to create a richer, full-bodied wine, with some oak influence. Classic aromas in Bordeaux are: elderflower, gooseberry, grapefruit and peach. As Bordeaux Blanc decreased in popularity, the wine growers pulled up a lot of white grape vines and replanted with the classic Bordeaux red grapes. The good thing is that what is left of the white grape vineyards are very good quality. So, perhaps it’s worth rethinking our attitude towards white Bordeaux? Semillon is the main grape for sweet wine or the dry barrel-fermented wine in Bordeaux. On its own, it is waxy and develops honeyed and nutty flavours with ageing, but blending with Sauvignon Blanc livens it up. A very notable example is Ch. Haut-Brion, which uses up to 60% of Sémillon in its white wine. This grape is also susceptible to botrytis (noble rot) and is the main grape in the sweet and opulent wines of Sauternes. Bordeaux is not an easy region to navigate. I find it less complicated than Burgundy, but it doesn’t hurt to look at a map. The first big split is between north and south of the river Garonne, with different styles of wines produced on either side. South of the river we have the ‘Left Bank’. Here, red wines lead with Cabernet Sauvignon and are more tannic, acidic, fresher, and have greater ageing potential. North of the river Garonne and north of river Dordogne as well, Merlot dominates the blends of the ‘right bank’. Wines are softer, rounder, heavier and plumper. Needless to say, if you like everything but Merlot – like in the movie Sideways – you should stay away from the average Bordeaux and Right Bank wines. Margaux (Haut-Médoc): described as charming when well made, the style is perfumed, floral, with a silky texture. This is considered the feminine version of Left Bank Bordeaux. Pauillac (Haut-Médoc): concentrated, with distinct aromas of cassis, cedar, and tobacco. This is the masculine version of Bordeaux in the Left Bank. St-Estèphe (Haut-Médoc): deeply coloured, tannic, austere when young, but with a great ageing potential. St-Julien (Haut-Médoc): perceived as the commune for wine connoisseurs who seek subtlety, it is somewhere in between all the three wines above. Pessac-Léognan (Graves): this commune can produce both red and white wines, compared with the others in this list, which are red wine only. The reds of Pessac-Léognan have a distinct mineral, earthiness aroma, topped with smokiness. Pomerol: a very small commune, but distinctive, which produces glamorous and opulent wines dominated by top quality Merlot. Saint Émilion: wines have moderate to high tannins, but a soft and rich mouthfeel, and complex red berry fruit and plum aromas. Blends mix Cabernet Franc and Merlot in various proportions. There are other communes which make very good wine in Bordeaux, so do not dismiss them. Often, these have a similar quality to the famous communes, but you will only pay a fraction of the price. For example: Fronsac, Cannon-Fronsac, Lalande de Pomerol, Castillon or other Bordeaux satellites can offer great value for money. ‘mis en bouteille au château’ or ‘mis en bouteille à la propriété’ (bottled at the property of the producer) – this is not necessarily a guarantee of quality, but if it is not mentioned, it means the wine is an ordinary blend made by a large merchant or co-operative. One of the seven top-quality villages mentioned above. If it says Médoc, Graves or simple Bordeaux, it is a lower quality blend from the sub-region / region, which did not qualify for a higher appellation. ‘Cru classé’ (classed growth) – the wine comes from a vineyard, estate or château included in a Bordeaux wine classification. The term is used almost exclusively in Bordeaux for those châteaux included in the 1855 classification of the Médoc and Sauternes, the 1955 classification of Graves, and sometimes for those properties included in the Saint Émilion classification. These wines will command higher prices, starting from £50-70/bottle. The only notable exceptions are wines from Pomerol, which do not have a classification. Super-premium examples are Pétrus and Le Pin with prices well above £1,000 per bottle when young. ‘Grand cru’- this term refers mainly to wines from Saint Émilion commune, with a slightly better quality than the communal one. Seem a little much? The French like to make things complicated to protect producers’ reputations (and profit margins). But knowing even a little can help you avoid expensive mistakes and choose wines that suits your taste. We briefly touched on this subject in the point above, but, to refresh your memory, this means that the grower bottled the wine. The term château doesn’t necessary mean a castle-like property. Even the shabbiest farm can put ‘mis en bouteille au château’ on their label. It all started with Chateau Mouton Rothschild in the 1920s. The young Baron Philippe de Rothschild persuaded all the other top producers to promote this practice, with the goal of taking control of all the wine-making elements from the field to the bottle. Although it required greater investment, as the bottling lines are not cheap, producers all saw the benefits in terms of quality control. Today, even small producers tend to bottle their wine on the estate, renting mobile bottling facilities for the purpose. This practice is essential; otherwise how can you guarantee that your wine is not mixed by accident with someone else’s? It all started in 1855, for the Paris Universal Exhibition. The merchants of Bordeaux were asked to send in their top wine and the classification was pretty much done on the back of an envelope, based on the prices commanded by the wines. There was nothing like blind tasting and panels of judges at that time. It was all about the money, as Oz Clarke explains in his book on Bordeaux wine. The classification included 58 red wines and 21 whites. People thought that the quick and dirty classification would be forgotten the next year. But the classification stuck and it is still in place with some amendments after nearly two centuries. 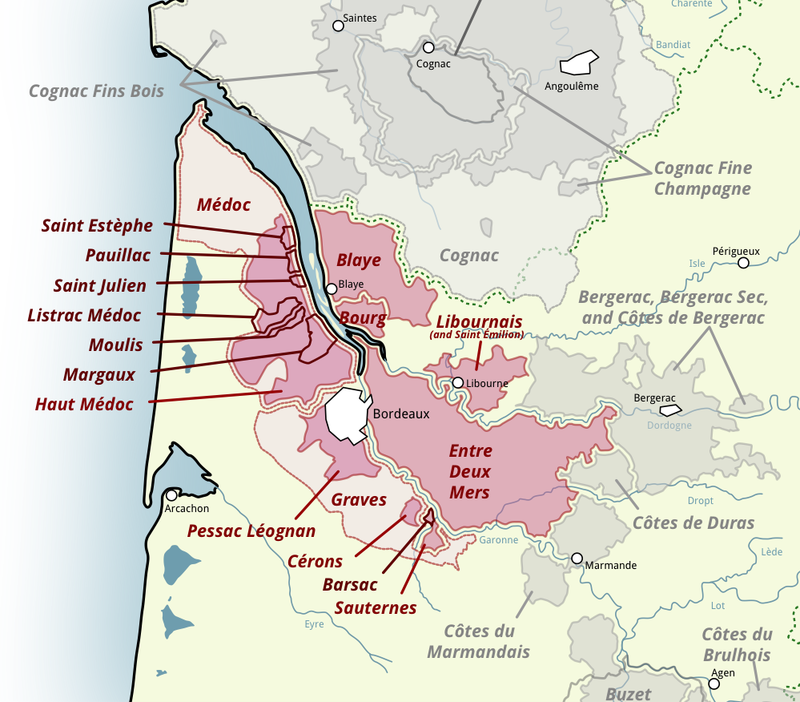 There are three main classifications in Bordeaux, none of which encompasses the entire region. In fact, there are top areas, like Pomerol, which do not have a classification. The 1855 classification of Médoc and Sauternes now includes 62 producers, broken down into five subcategories of cru classés. You can easily find the names of the producers on the internet. To make things more complicated, from a quality perspective, the sub-classification of these wines doesn’t necessarily reflect their quality. Oz Clarke believes that: ‘there are fifths that deserve to be seconds and at least one second deserves no more than fifth status’. His recommendation is to choose based on price. The St-Émilion classification is made based on blind tasting and quality assessment and is revised on average every ten years. Further broken down into three sub-layers of cru classés, you can easily find on the internet the names of the producers. These wines are a special category within the Grand Cru appellation of St-Émilion. You should not confuse them with the more generic ones with only Grand Cru on the label. In fact, half of St-Émilion wine production classifies as grand cru. The Médoc cru bourgeois classification is less glamorous than the first two, but also subject to regular quality assessment. The key difference is that only specific vintages get it, not just the châteaux every year. They are some of Bordeaux’s best-value and most accessible wines. Mainly from Cabernet Sauvignon grapes, often contain quite a high proportion of Merlot with some Cabernet Franc. Few wine regions share as much complexity as Bordeaux. Not only do we need to know classifications, producers, appellations, and vintages, but also the concept of a first wine, second wine and even third wine. The first wine or grand vin is the top wine of the producer. The best grapes, from the best parcels of land go into that wine. The grand vin is the flagship wine of the château. Manual harvesting and sorting of the grapes, use of expensive new oak barrels, and extended ageing and care are the norm. Rich and concentrated, these wines take longer to reach drinking maturity, and command legendary prices. It’s impossible to ensure every grape is a perfect grape and every vineyard is an ideal environment. So, instead of selling lower-quality grapes to other producers or diluting the quality of their own premium grand vin, Bordeaux winemakers came up with the second wine or third wine concept. For example, Chateau Margaux produces an eponymous first wine and a second wine under the label of ‘Pavilion Rouge’. It is not a new practice, as its roots go all the way back to the 18th century. Chateau Lafite then revived it at the beginning of the 20th century. But it needed Bordeaux to become a region of investment and cult wines to become significant commercially viable in the 1980s. So, what do we need to know about the second wine? Usually, made from lower quality grapes from slightly less perfect plots or from younger vines. Don’t get me wrong, these are still top-quality grapes. A good analogy is diamonds: you have pure, flawless ones and some with various levels of impurities. But they are still diamonds. In poorer vintages, some producers will chose not to make the grand vin at all. So, even the best grapes will go into the second wine. Even in excellent vintages, some of the top grapes will go into the second wine. No need to produce more top wine if you reached your target. After all, scarcity keeps prices up. The mix of the grapes is slightly different than the grand vin, in the sense that more Merlot will make it into the final blend. Producers will use less new oak. The wines will mature quicker and will be ready to drink earlier than the grand vin. Often this is a good thing for consumers. Sometimes, the grand vins sit in collectors’ and investors’ cellars, while the second wine is actually enjoyed as God and the winemaker intended. They will be less concentrated and rich compared with the grand vin. You will still be able to enjoy the craftsmanship of a top producer, but at the fraction of the price of the grand vin. For example, Chateaux Margaux 2005 (a gorgeous vintage) sells for around £650 a bottle, while its second wine, from the same year, costs a more reasonable £140 a bottle. In short, don’t dismiss the second wines. Few of us will be able to drink the first wines on a regular basis, anyway. And unless you taste them side by side, as I had the opportunity to do at a Berry Bros tasting earlier, you will not know the difference. It all starts with how much money you are willing to spend and what you expect in terms of quality. I only like to drink very good and outstanding wine and it’s irritating to drink poor wine. Apart from the glib observation that life is too short to drink bad wine, I also think in terms of opportunity cost with bad wine. After all, each 125ml glass of wine adds around 100kcal to my daily calorie intake! But that doesn’t mean that very good or outstanding wine needs to be outstandingly expensive. Avoid Bordeaux or Bordeaux Superior, as they will be the lowest in terms of quality ranking. There are exceptions like vins de garage or wines which are outside the appellation, but they will be quite pricey and somewhat recheché. Try the classified growth ones at least once. You can start with the lower ones, the second wines. Have at least a tasting sample at a tasting. It’s a pity to live and not experience them at all. We could not end the essential facts about Bordeaux without mentioning en primeur. This is a French trade term for wine sold as futures before even bottled. Yes! You pay for wine before it is even drinkable. Historically, winemakers sold wine en primeur to help their cash flow. Essentially, you bought the wine at the earliest possible moment based on tastings from the barrel. Then you took delivery of the wine and stored it in a bonded warehouse for years until it was ready to drink. With a price suitably discounted it aimed to reflect the risk and the wait. These days, the top wines are scarcer and more in demand. This means that they can charge much higher prices for en primeur wines, knowing that speculators and collectors will pay up to secure their stock of each vintage. Why not buy en primeur? You buy blindly and rely on ratings given by wine critics on something not bottled yet. Because you have no guarantee that the rated wine quality will be the same in the final product. You have to wait for a year or two until you can see the wine. Hence, you really have to trust your wine merchant. Sometimes, the subsequent price drops and you might end up paying more. Usually, you need to buy by the case or half-case and that can get pricey for the top wines. So there you have it – our essential guide to Bordeaux and its world-famous wines. We’d love to hear about your own experience of this incredible wine-producing region, so please feel free to share your thoughts and comments below.